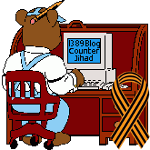 Elisabeth’s Voice: An Update — 1389 Blog - Counterjihad! 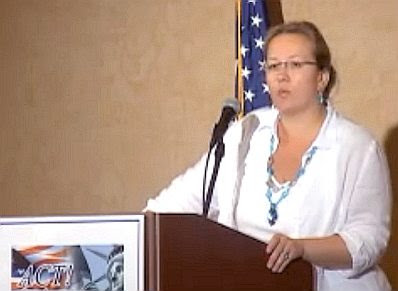 One week from today Elisabeth Sabaditsch-Wolff will go on trial in Vienna for “hate speech” — or, more precisely, for “denigrating religious teachings” — in a lecture she gave as part of one of her informational seminars about Islam. Criminal procedure in Austria does not allow her or her attorney advance access to the tape of her seminar that was recorded by NEWS ( the Austrian newspaper which publicized her seminar, and which prepared the transcript which will being used against her in court). As a result, the entire tape will have to be played during the court session, which means that the proceedings may take more than one day. Elisabeth is using the seminar transcript to prepare a point-by-point rebuttal of the charges filed against her. She will demonstrate that her statements represent an accurate account of sharia as established through a consensus of the scholars of Islamic law. Reliance of the Traveller by al-Misri, the most authoritative treatise in the Shafi’ite School of Islamic Law, will be one of her primary sources. Elisabeth’s Voice, the international initiative to provide funding for Elisabeth’s legal defense, has been an enormous success. Depending on how many days the trial takes, and how many levels of appeals will be necessary, she may now have enough in her fund to cover most of her legal costs. To all those who contributed: we owe you an enormous debt of gratitude for your willingness to help Elisabeth Sabaditsch-Wolff fight for the cause of free speech in Europe. The list of participants in Elisabeth’s Voice has grown so long that I have put it below the jump. I included every link I could find, but I know I must have missed some. If your blog is not on the list, and you publicized Elisabeth’s case (including a link to her defense fund website), please send us an email so that you can be added to the roll of participants. Readers who wish to donate to Elisabeth’s defense fund should visit the Save Free Speech site. The defense fund is not under her control, and disbursements from it will be made solely to pay her legal fees.